﻿ Welcome to my site! This website can be used to view homework assignments, project information, due dates, etc. It's also a great way for parents to stay involved in their child's education. Should you have any questions, comments, or concerns, please feel free to comment on the homework page or use the "Contact" tab. I look forward to working with you to make this a fun and successful school year! 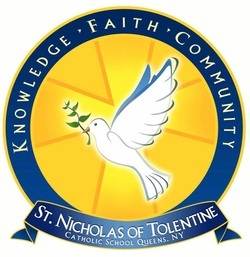 For other school news and information, please go to the St. Nick's website.